Building muscle and burning fat are both essential factors to creating a fit, healthy body, but flexibility is just as important. 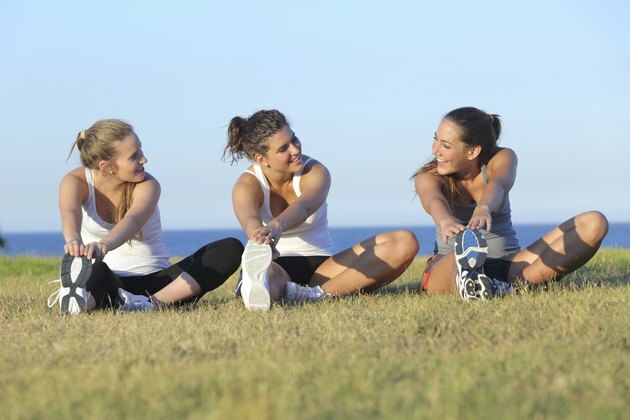 To maintain proper fitness, take part in different activities that help to stretch and lengthen your muscles. This not only creates a more slender, elongated body, but also increases range of motion, improves posture and relieves stress both physically and mentally, according to the American Council on Exercise. Yoga involves using different poses or positions to help stretch the different muscle groups in your body. There are various types of yoga you can practice, but one of the main goals of all these types is to improve overall flexibility. There are different postures for all the muscles, tendons and joints in your body -- you don't have to have a lot of flexibility to begin a yoga practice. Begin with Hatha yoga, which is the most basic form. Pilates is one of the most effective exercises for increasing flexibility. It allows you to train several muscle groups at the same time and is relatively low-impact, so it's safe for anyone to do. It helps you build long, lean muscles and flexibility, and allows you to create an evenly conditioned body, which helps prevent injury. With a wide range of exercises of varying difficulty, you can choose to make your workout as low- or high-intensity as you want. Tai chi is a martial arts activity that uses slow, controlled movements to help improve flexibility and promote stress relief. It is known for helping with a multitude of health issues including anxiety, fatigue, joint stiffness, muscle tension and stress, according to the Better Health Channel. You can learn it from books or videos so you can do it in the comfort of your home, or sign up for a class to learn tai chi in a group setting. It's gentle and low-impact, making it ideal for all ages and levels of fitness. Water aerobics is a form of cardio activity that is not only effective for improving flexibility, but also a ton of fun. 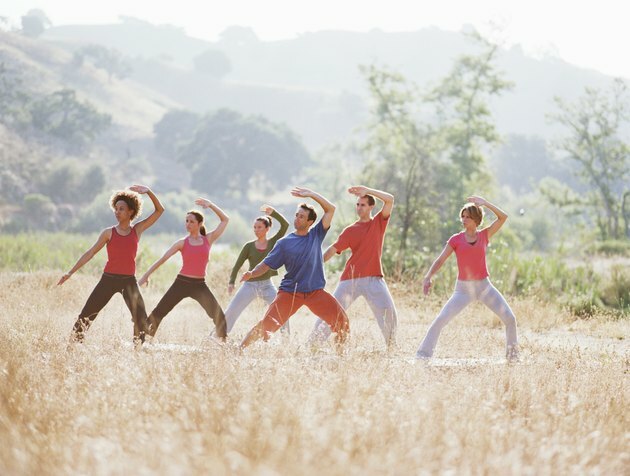 Like tai chi, it is suitable for people of all ages and fitness levels. You get an effective workout, but without putting as much stress on your joints as with other types of exercise. Because being in water gives a feeling of weightlessness and offers gentle resistance, this kind of exercise is often prescribed by doctors for pregnant women and people with joint or bone problems. Dancers are always very flexible and there's a good reason why. Dancers spend a lot of time stretching, then a lot of time dancing -- both activities that improve flexibility. Dancing helps loosen and lengthen your muscles, while it also builds strength and endurance. It may also help relieve stress, according to the website Dance Elite. Stretching prior to your workout is mandatory to loosen your muscles and prevent stiffness or tightness during your workout. Stretching before and after your cardio and strength-training workouts is important and helps increase your flexibility even more. There are two main types of stretching: dynamic and static stretching. Dynamic stretching involves motion, whereas static stretches require you to hold a position. Holding a static stretch for 30 seconds is ideal, long enough to work but not so long that you are risking injury to your body. Stick to dynamic stretching pre-workout and static stretching post-workout for best results. How Long Does it Take to Get in Shape With Yoga?